In this section, you're going to find little bits of information from time to time about happenings, people, etc. 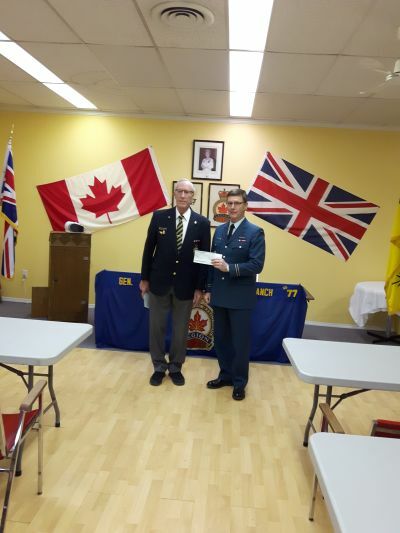 "Around the Legion" so come back often to see who has been up to what or what items of interest may have occurred. RECENT LEGION CALANDER LOTTERY WINNERS. The 2019 Legion Calander Lotto has started and the following are among the first round of winners. BRANCH GENERAL MEETING. 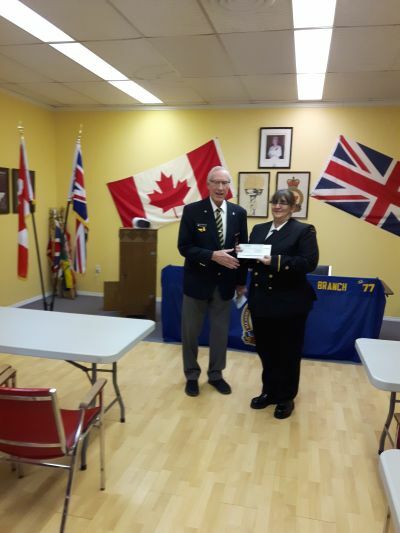 The next scheduled General meeting will be held on Wed the 24th of April 2019 at 7:00 p.m. A representative from Aspen Bluffs will be present to accept a donation cheque from the Poppy Fund. Representatives from Moose Jaw Military Family Resource Centre will be on hand to discuss their programs and give a short presentation. 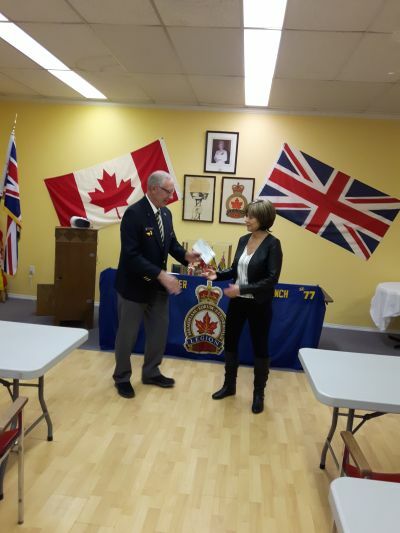 A donation from the Poppy Fund is given to them yearly. LOUNGE. Unless otherwise posted, the Legion Lounge will be open every Saturday. Meat draws will be held at approximately 5:00. The number of meat draws (maximum 10) will be dependent on the number of guests we have and the number of tickets sold. Tickets are $5.00 for a strip of five tickets. The lounge opens at 3:00 p.m.
Can you help with the ICB interview project which is trying to find families of soldiers who fell in World War II and are buried in the Holten Canadian War Cemetery in the Netherlands? We are looking for information on Rfn George S. Wilson from Yorkton who served with the Royal Winnipeg Rifles Regiment, Registration No. L/108421, date of death April 10, 1945. 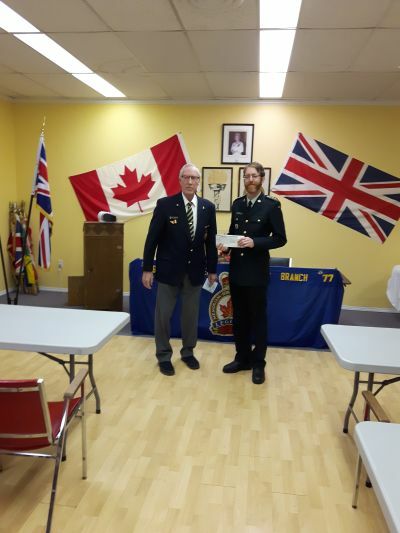 If you have any information on this rifleman, please contact the Legion office at 306-783-9789 or by email at branch77yorkton@gmail.com. 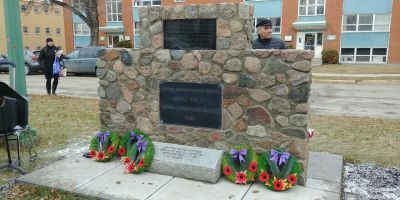 The year 2020 will mark the 75th Liberation Anniversary for May 5, 1945, a Dutch ceremony honouring those Canadians who fell in World War II liberating the Netherlands. The Information Centre Canadian War Cemetery (ICB) in Holten, Netherlands is planning to interview relatives (siblings, spouses, children, other relatives, friends) of deceased soldiers who are buried in Holten. Plans are to visit the interviewees at their homes in Canada. This July, the Legion will be conducting the Royal Canadian Legion Pilgrimage of Remembrance. Over 15 days, pilgrims visit significant sites throughout Northern France and Belgium, the trenches of the First World War and the beaches of Normandy. Ceremonies of Remembrance also will be conducted at the cemeteries where so many Canadians found their final resting place. Taking a pilgrimage is an important and meaningful experience for a variety of reasons. If you're interested in attending, we have the full itinerary and details on our bulletin board. 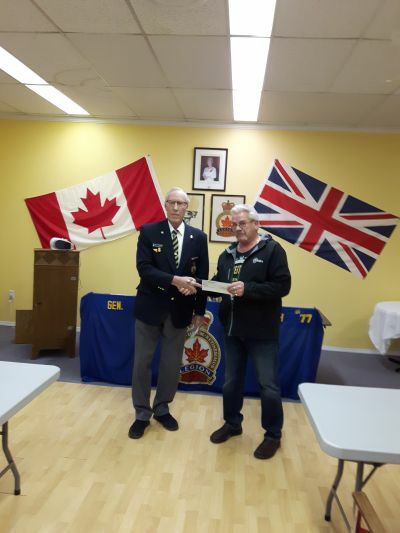 On Wednesday the 27th of February 2019, Comrade President Barry Whitehead presented Ross Fisher of the Health Foundation a cheque in the amount of $5,000.00 to aid in the purchase of new medical equipment. SASKTEL PIONEERS PRESENTATION. 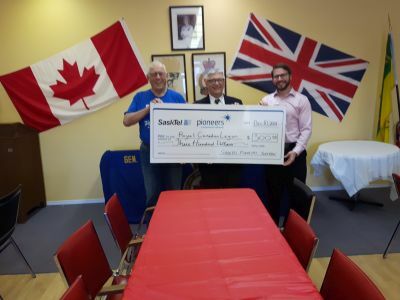 Thank you to the SaskTel Pioneers for their generous donation to our Legion. 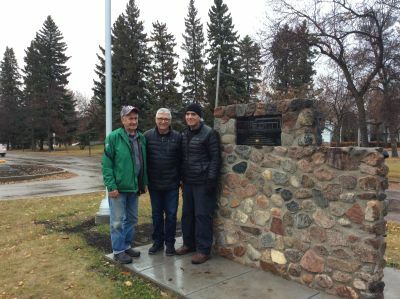 From left to right are Dave Roberts from SaskTel Pioneers, Legion 1st Vice President Ken Gordon and SaskTel Pioneers President John McMurdo. KIDS HELPING VETS. 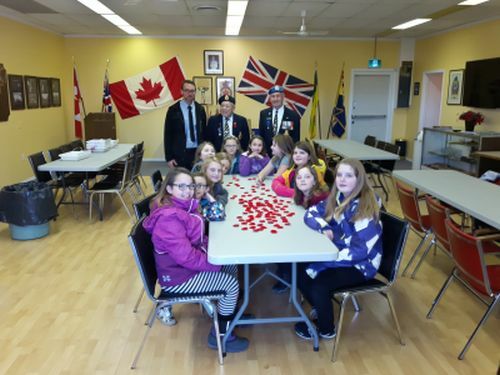 Students from St Paul's school recently helped the Legion with Poppy campaign activities by filling poppy bags for Citywide distribution. 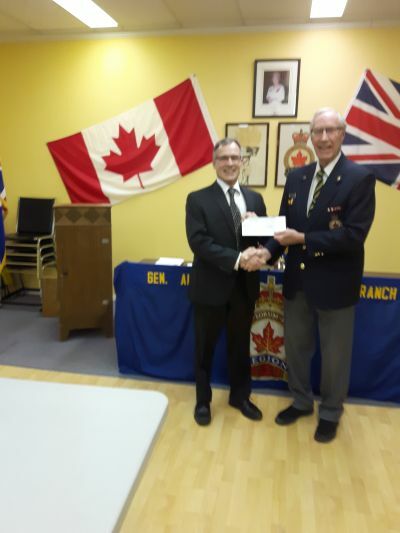 In addition to the very helpful students, also in the picture are St. Paul's principal Mr. Quinn Haider, and Legion members Bill Stubbings and Peter Wyatt. We also wish to thank students from Sacred Heart High School and Columbia school for their support and help with the Poppy campaign activities recently. CAIRN UNVEILING AND DEDICATION. 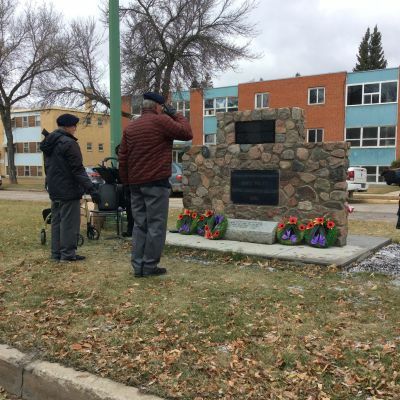 The cairn which was formally located at the old Legion building on Broadway has been relocated complete with a new flagpole to the boulevard on Darlington Street close to Second Avenue. The rededication services were held at 11AM on the 13th of October 2018.